The last two weeks in our home-childcare programs have been buzzing with learning and activity! 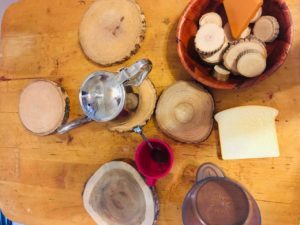 Each program is as unique as it’s children, and the small group sizes means that the children can focus in on and extend what they are truly interested in. Last week in Buckhorn Jenny and Emily spent the morning outside with Vanessa’s group. 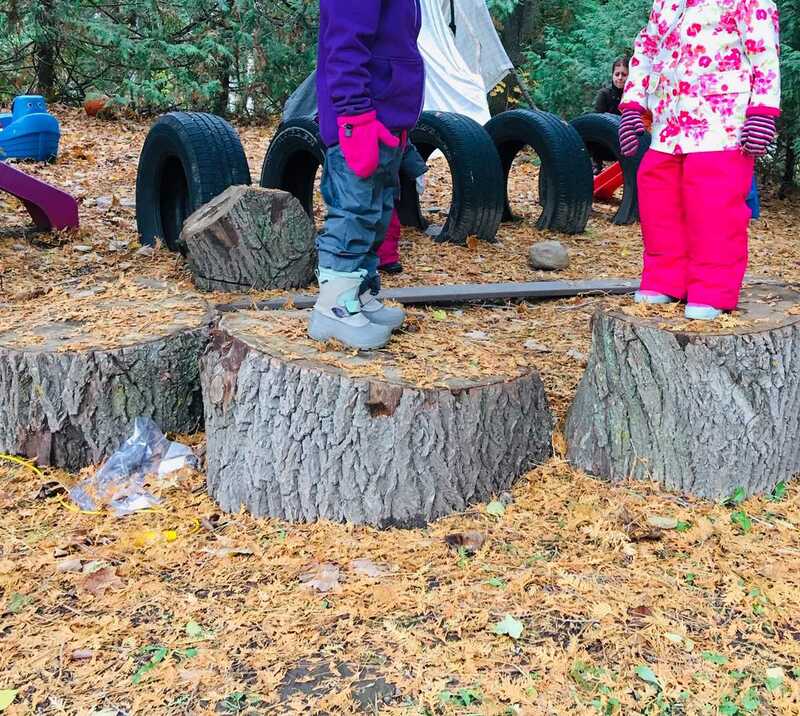 The children were so skilled in balancing on logs, and made the most amazing discovery of hail. What was hail, we wondered. When we caught it, it melted quickly into tiny puddles on our hands. “It’s rain!” the friends observed. The friends listened carefully to the sounds of their world, as the hail hit the branches in the tree’s above. A love of the natural world was evident as we spent time in this program. It was truly amazing to watch as one of our providers invited the children she was caring for on a walk with her. The children trudged along, walking independently! Our providers know that children are capable, confident, and they foster that independence whenever possible. Focus, determination, and teamwork were being fostered at one of our programs this week, and we witnessed this in the creation of a train track that just seemed to keep going! The children clearly set a goal for themselves, saying “Make it go all around!” and pursued this goal together to meet success. Sometimes the work was tricky, but they persisted. Meanwhile, tea parties are a strong interest in another home. Jenny brought fantastic, real life tea pots to this program and the children’s imagination and creativity was inspiring. The children in our programs are offered endless amounts of time to explore their world how they want to, and in this providers home, imaginary play was a key component of their curriculum. 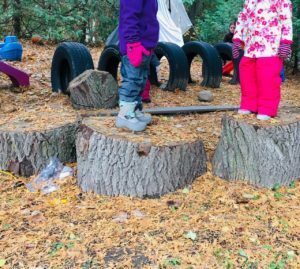 The children are offered time, safe space, and interesting and dynamic materials so as to support their social skills, communication, and sense of belonging as they represent their world through play. Interested in joining the adventures as a Licensed Home Childcare Provider? E-mail hcc@compasselc.com to begin your journey.